As you settle down to watch Eddie's latest DVD,prepare yourself to enjoy another generous helping of the tried and trusted recipe that has served him so well during 50 plus years in the entertainment business. Recorded again at The Royal British Legion club in Turriff one of my favourite venues. I have tried to include songs from the North of Scotland such as The Glorious North, McGinty’s meal and ale, Flat footed Jean medley, With more beautiful scenery from Kyle to Fyvie Castle. The three characters i have chosen are The Air Hostess, The Convict and the Teddy boy. Song’s including my fathers favourite The Road and the miles to Dundee, The West highland way and Scotland again. Welcome to my fifth DVD recorded at one of my favourite venues, The Royal British Legion Club in Turriff, where you will always find a welcome from one of the best audiences I have ever played to. 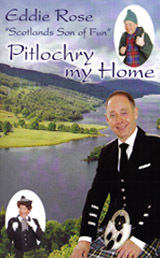 Pitlochry my Home was recorded live at The Royal Hotel in Blairgowrie. 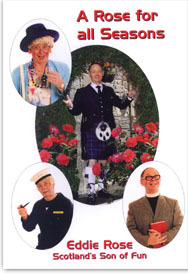 This fourth DVD has a 100 minutes of comedy and song including beautiful scenery of Pitlochry, Killiecrankie and farming around Scotand. 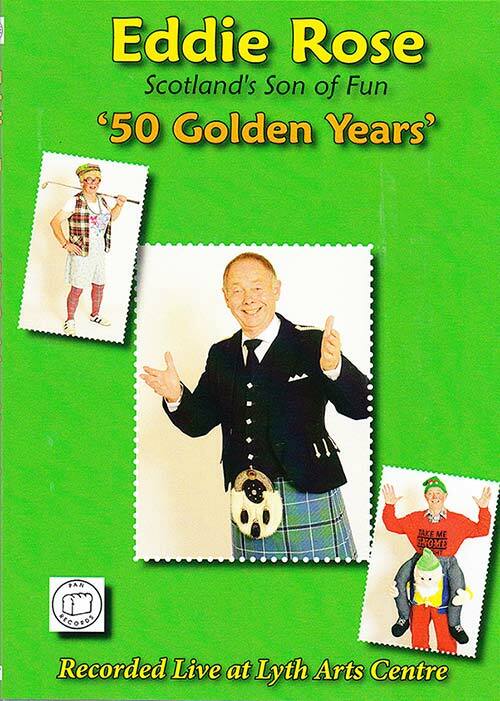 A Highland Gentleman was recorded live at Methven Community Centre, near Perth and has 65 minutes of comedy, song and Highland scenery. Eddie's latest, much requested, DVD is now on sale. Eddie's first DVD is still available. 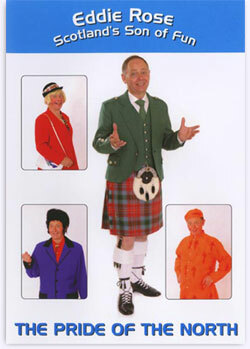 It includes traditional songs with scenes of Scotland's landscape.